Target Liberty: Is Starbucks Executive Chairman Howard Schultz Running for President? Is Starbucks Executive Chairman Howard Schultz Running for President? Howard Schultz is stepping down from his role as executive chairman of Starbucks, effective June 26, according to a memo sent to employees Monday, reports CNBC. If Schultz is elected president in 2020, I would consider him the first card-carrying social justice warrior to become president. I don't think I have ever heard him say anything that makes any sense on any subject relating to this planet. I thought Obama for certain had the honor of being the first full fledged SJW President? 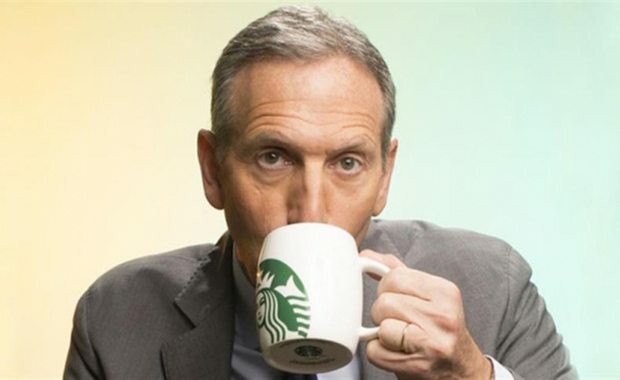 One would think that Howard Schultz is a true capitalist, based on his creation of a very successful company. However, I agree with RW's sentiment completely. No doubt his first executive order will be to mandate that all private bathrooms be open to the public (except those in the White House).